Writing a good I.E.L.T.S. essay for either the general or academic I.E.L.T.S. test is perhaps one of the most challenging parts of taking the I.E.L.T.S. exam. Firstly, the student has to understand how to write an essay (this involves analysing the question) and then, the student needs to write the essay in a foreign language, using a set of rules which often seem obscure. Remember, abstract reasoning and writing is generally, not the easiest task for native speakers. I mean that as well as writing in a foreign language, the student is often learning how to write a short essay for the first time. a hidden argument - these questions usually ask "to what extent...? ", "In what way...?" or "how has...changed?" So one aspect of answering an essay question well, is to work out what the question is asking you and to divide the question into smaller questions, work out what the main ideas are that you need to discuss or do something even simpler - discuss advantages and disadvantages (if this is what the question asks). Look at part 2 for more details on this. Secondly, of course, you need good English! This means that you need to know how to argue, reason, persuade and balance arguments in a foreign language. This is not easy and often you cannot simply translate the words and phrases you would use in your own language. Language which is especially useful for essays is linking phrases, adverbs (used for a variety of purposes such as contrasting, persuading, adding information, counter-arguing, making concessions, clarifying, making exceptions etc.). Adverbs themselves, can be used for a variety of purposes - expressing feeling, expressing personal opinion, expressing logical ideas and indicating the areas where a situation exists. Significantly, there are other groups of adverbs called "Adverbs of manner",which add a descriptive element to a sentence, "Adverbs of degree", which are used to emphasise, adverbs which focus / restrict, "Adverbs of frequency", which are used in time phrases (and with specific sentences like the present simple and the present perfect) and "Adverbs of certainty", which are used to talk about the future. Finally, there are two other ideas you really need to understand well. You need to practice writing essay plans. This means analysing the question and then, deciding on the information that is needed to answer it. Normally, the question explicitly asks the student for specific information (i.e. What are the advantages and disadvantages of using the internet as opposed to books?) or the question prompts the student to suggest specific solutions to problems and answer a number of questions. Once you begin to recognise these patterns, you can plan your answer better. You need to practice, practice and then, practice some more. This is because you need to actively seek out the gaps in your knowledge and then fill them. At times, it may seem very difficult to get your head around essay technique, because you need a combination of skills to succeed at IELTS - wide ranging vocabulary, grammar and a knowledge of register. Obviously, the essay format is normally formal, so you need some formal phrases and words, as listed above. Furthermore, there are also several general skills needed for the essay format. These include, focussing attention, making an argument and expressing opinion, attitude and belief (for examples, please look at part 2). Obviously, if you don't not know the words to express yourself this is also a big problem. 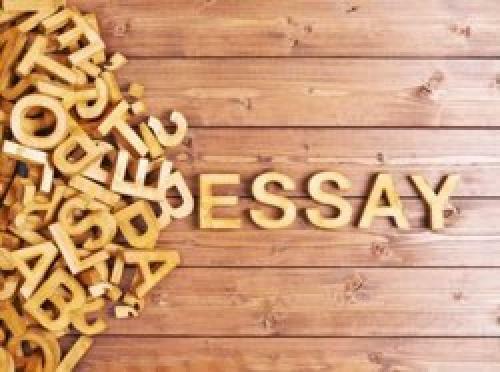 The good news is that as you practice writing essays you can make a big effort to fill the gaps in your knowledge, especially, if you know that there are certain themes that repeat themselves again and again as essay questions. Here is a list of common IELTS themes for you to look at - education, the media, work, science and technology, money and finance, politics, the environment, healthcare, crime and the law, social tensions, food and diet, children and the family, travel, the arts, town and country, architecture, men and women, geography, business and industry and global problems. The ones I have underlined feature more significantly in the essay writing section. In conclusion, I think you really need to have a thorough grounding in English and remember that the exam requires appropriate, fluent and coherent language. Furthermore, you cannot always translate words and phrases directly from your own language. You need a book like "Collocations in Use" (by Cambridge University Press) or "Vocabulary for I.E.L.T.S." (again by Cambridge University) as well as an existing level of intermediate, at least. Also don't forget that each student is different and creative approaches can also be highly useful. How to write an I.E.L.T.S. essay.